I have to admit it, Liana, you are great!! I was wondering where you were… lol : ) GReat job! Hello again! 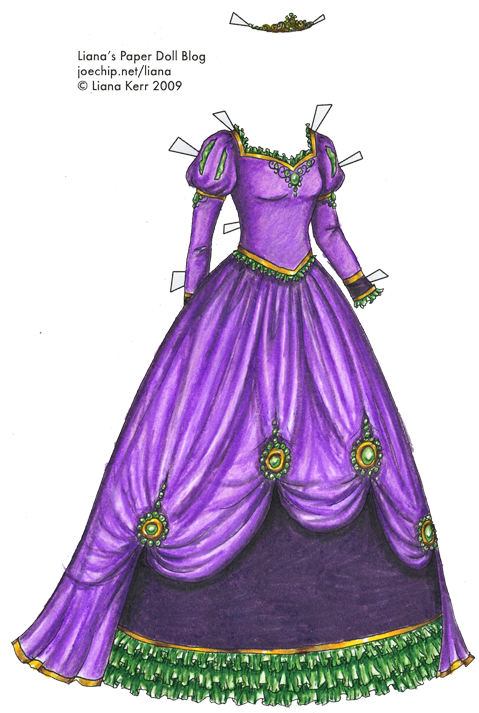 That princess gown is such a pretty color of purple! Hmm… I’ll guess the Spring Green. Or maybe Periwinkle. Just considering the colors in the outfits, I’d guess either Dahlia Purple or one of those bluey-greens like cerulean blue. 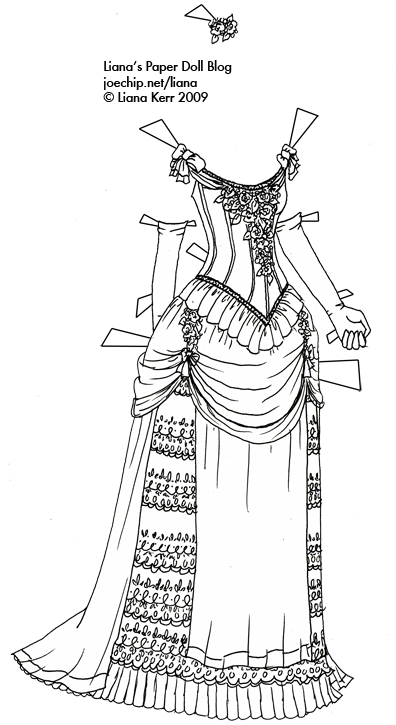 I adore the princess gown! Purple is definitely my favorite color, and of the pencils I think my favorite would be a tie between Dahlia Purple and Mulberry. Ok now I’m Certain it’s orange, one of the ones you use for copper. I’m going to guess…Parrot Green! i love the fire dress by the way! Hmm, favourite colour. I’m trying to think back to my favourite Prisma(s). Black Raspberry’s sample on the site seems like a very satisfying colour to use. Or Mulberry. Or… Process Red. There, them’s my guesses :D I’m sorry for guessing so many! I think the Non-photo blue is your favourite. Spring Green, wonderful job i like it. Cerulean Blue is my guess. The pencil has finally been guessed (ultramarine) – thanks everyone for guessing! I love it, I love it, I love it all! How do you draw like that? I’m 9 so yeah, I don’t draw that godd(DUH!). I mean I can draw clothes pretty good, it’s just i don’t have the right tools to make it so detailed and even if i did I’m sure I wouldn’t know how to use them! are you sure you DREW them? like, on actual PAPER with your actual HAND with NO computer effects? Can you do another tutorial? I didn’T REALLY GET THAT ONE OVER THERE. ooops. caps. sorry. Hello? Are you there anymore?